Well I guess I wouldn't call them minions... more like good friends lending a hand for a great cause, but that just wouldn't be as good of a post title! 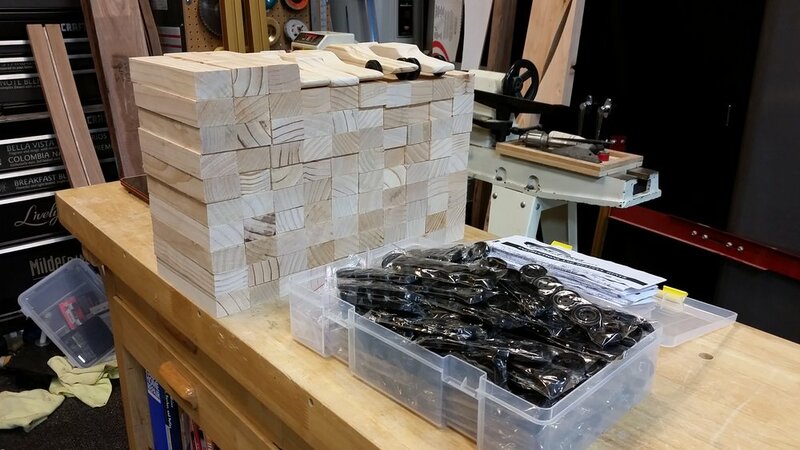 Big thanks to Cindy, Mel, Casey, and Kurt for coming over last night after work to help me batch out 100 pinewood derby cars for the kids who will be attending the upcoming summer camp at Camp Casey. 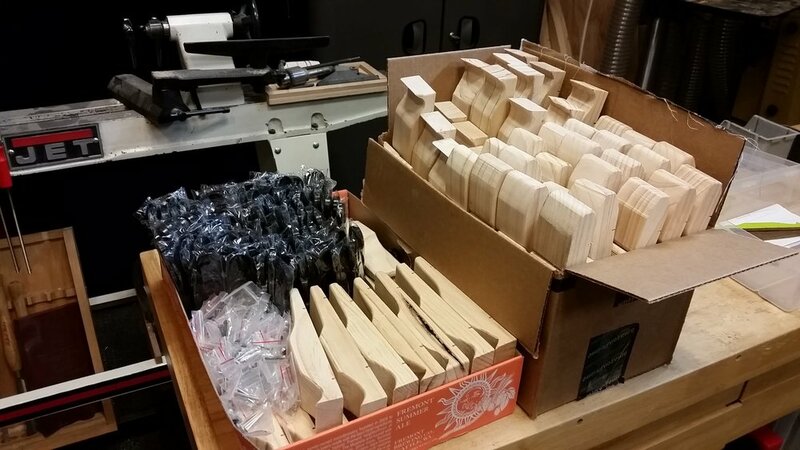 With all of us working in a production line style, we were able to drill the axle holes, cut each block to shape, sand each one smooth, and round over the edges on 100 pinewood derby cars in a little over one and a half hours. That would have taken me an entire Saturday to accomplish on my own, so I'm very grateful for the "minion help." Henry Ford himself would have been proud to see the efficient operation we had going. Mel took on the dustiest job. Kurt made sure to get those edges nice and smooth on the router table. After a quick lesson from Kurt, Cindy took over router table duties and was rounding over the edges like a pro in no time. The production line if full swing. 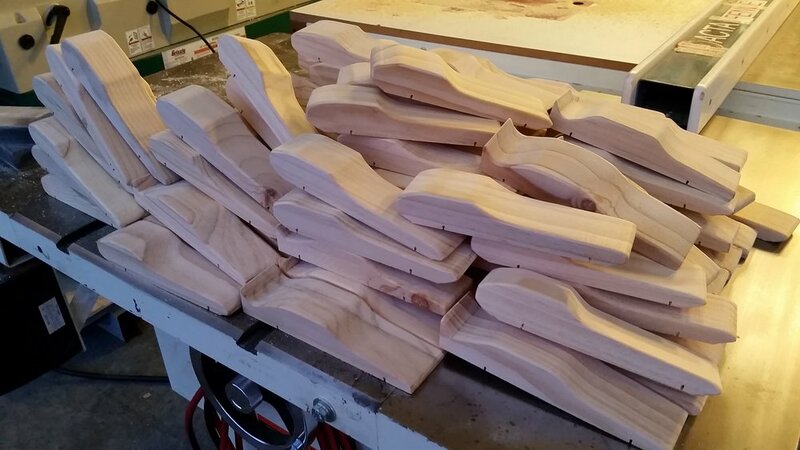 That is a lot of pinewood derby cars! All packed up and ready for transport to the Wilcox paint booth, AKA the Wilcox barn, to be painted the next day. Today at work, Cindy, Mary, and Oksana got the cars painted up and ready to go for the kids. In a few weeks, the kids at Camp Casey will each get to pick out one of these cars, attach the wheels, personalize it with stickers & markers, and then race against their friends. It was a lot of work, but it feels good to be able to help out with something like this. We are all very excited to see the kids racing their cars at camp. Hopefully they'll have as much fun racing them, as we did making them!